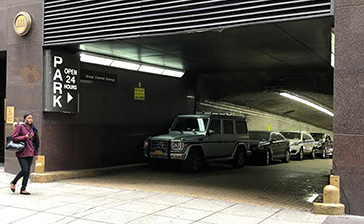 Looking for a parking garage near Cassa Hotel 45th Street? Parking.com offers several parking locations nearby. Discounts, daily and monthly rates are available at selected locations. Click on the map below to view available parking locations. The Cassa Hotel is a 4-Star Luxury Hotel with a sleek and upscale feel, featuring a Rooftop Garden Terrace and Fabulous Jacuzzi. This hotel features a 1,000-square-foot Fitness Center, Business Center, 48” flat-screen HD television (In-Room), Daily housekeeping and more. Some nearby attractions include Belasco Theatre, Lyceum Theatre, Nintendo World, Rockefeller Plaza.